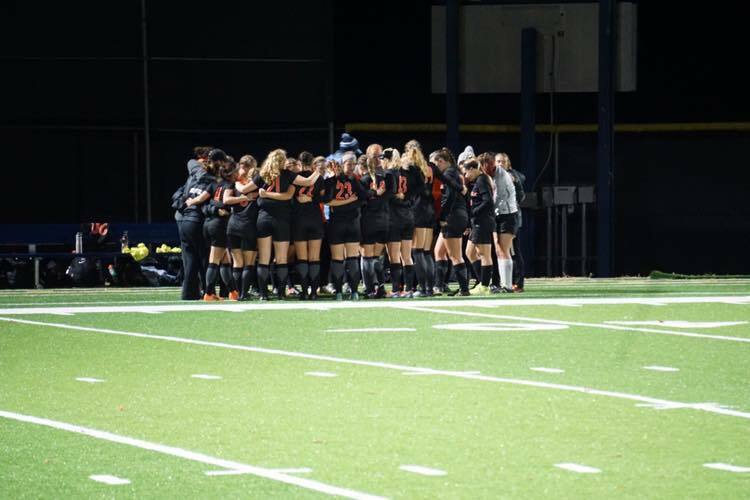 The Greenville University Women’s Soccer Team recently had the chance to do what no other women’s soccer team from Greenville has ever done. The only thing standing in their way was the Westminster College Blue Jays. The Panthers barely fell short with a score of 3-2 in the double overtime thriller. With a win over the Blue Jays, the Panthers would have not only clinched first place in the SLIAC conference tournament but also qualified for the NCAA tournament for the first time in Greenville women’s soccer history. The game was played in Fulton, Missouri at Westminster’s stadium. The November second playoff game offered a more frigid environment than the teams had been used to throughout the season, but that is always something they have to be prepared for. Sophomore Jade Taylor explained how practicing in the cold outdoors helped them quite a bit and stated, “We had to prepare our bodies to play in the cold weather so we did a lot of fitness as well.” Coming off the exciting and upset win over Webster University in the previous round, the Panthers were motivated and looking to capitalize in the championship game of the SLIAC tournament. Webster had been the conference powerhouse that they finally managed to dethrone, and since Westminster was the only team to tie Greenville all season, it was only fitting they had to face them again. The Panthers trying to defend a shot from Westminster. Source: facebook.com/Greenville-University-Women’s-Soccer. Much like the championship, the first game earlier in the season went into double overtime as well but ended in a 0-0 tie when neither team was able to score before time expired. This time around, however, the Blue Jays were able to find a goal in the closing minutes of the second overtime to take a 3-2 win over the Panthers. Westminster came out much stronger and remained that way for the majority of the game. They ended up scoring the only two goals in the first half to take a 2-0 lead. 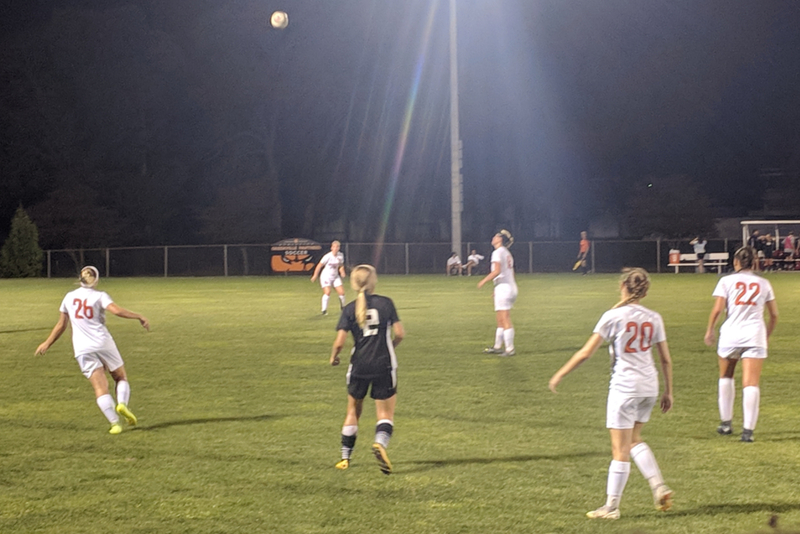 The ladies from Greenville struggled offensively nearly the entire game, only getting off 11 shots compared to Westminster’s 18 throughout the match. The Panthers did not get their first goal to connect until there were less than ten minutes left in the game at the 80-minute mark. This goal came from junior Michelle Grotefendt to trail 2-1 and was followed by another goal at 85 minutes by freshman Brooklyn Haro. Both goals were assisted by senior Dani Pearce and the Panthers barely escaped regulation with a 2-2 tie. After gaining momentum heading into the overtime periods, the team again failed to score on their six shots attempted. Finally, in the 108th minute of the match, Westminster managed to score again to get the win and become the 2018 SLIAC champions. The Panthers huddled together to hear Coach Dubs during the game. Source: facebook.com/Greenville-University-Women’s-Soccer. Dani Pearce led the team in assists with the two resulting in goals, and she also led the team in attempted shots with five. Sophomore Jade Taylor was the next most active with four shots. Both Michelle Grotefendt and Brooklyn Haro made their only shots of the night. 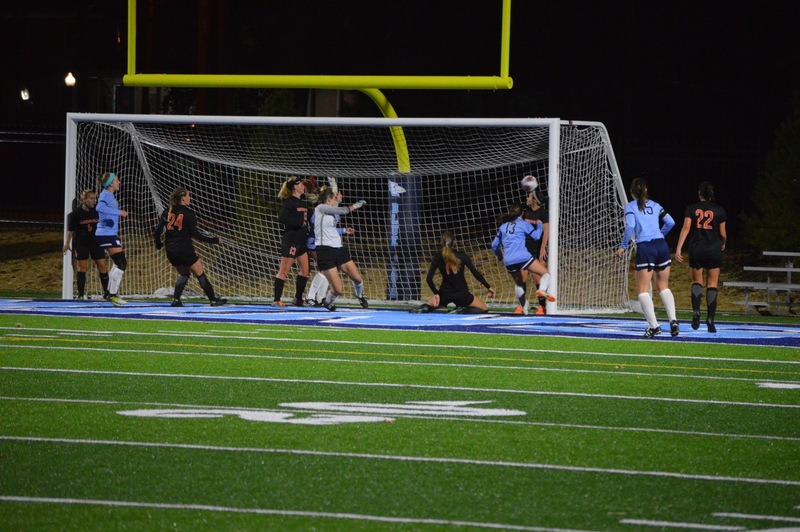 Junior Marjory Coates had a busy night as goalkeeper once again where she ended up saving six of the nine shots on goal from the Blue Jays, including a couple of crucial penalty kicks. Although the Greenville Women’s Soccer Team couldn’t find a way to beat Westminster in the SLIAC championship, the Panthers still had a great conference tournament run where they were finally able to end the post-season reign Webster had held for many years. They ended conference play with a record of 14-6-1 while waiting to find out if they’ve qualified for NCCAA post-season play. If you missed any stats, want some more details, or just want to see how the team’s season has panned out don’t hesitate to visit the official women’s soccer website at athletics.greenville.edu! Good job Gavin! Keep the articles coming!